Ordered the new stainless steel gas tank. It is not fitting as the old one did. Dropped old tank to put new one in and it does fit the same. 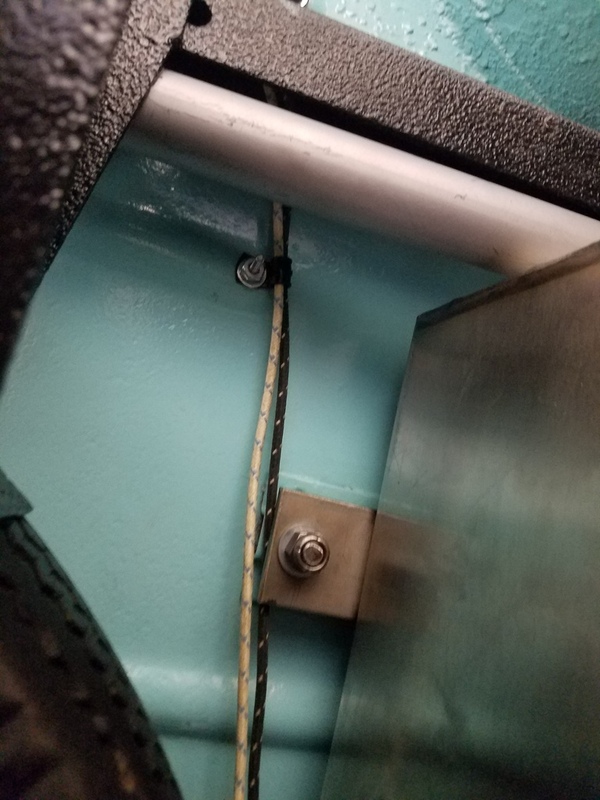 The welded brackets, straps, don't match up to the original bolts. Bolts are square headed 3/8. We redrilled and tried to install but the filler pipe was too long and fits right where the cross member is. Should we cut cross member and move it back? Ordered the new stainless steel gas tank. It is not fitting as the old one did. Dropped old tank to put new one in and it does for the same. The welded brackets, straps, don't match up to the original boots. Bolts are square headed 3/8. We redrilled and tried to install but the filler pipe was too long and fits right where the cross member is. I installed one of the stainless tanks several years ago, and, as Jeffrey said, I had to "egg-shape" the holes to make things fit. I remember that there was a problem with the filler spout, but I don't remember exactly what I did to make it fit. I did not cut any of the Crosley metal, cross member or body. I also bought one of these new stainless steel tanks for my 47 Sedan. I was excited about getting it for my car. Its a real pretty thing with nice looking welds but it didn’t fit my car. Of course you don’t discover this until you take down the original one. In the 47 car the tank is held up with two straps which attach to fixed bolts coming down from the floor sheetmetal. The new tank had tabs with didn’t line up with the fixed bolts. I thought, well OK I’ll just use the old straps but the filler neck location on the new tank was welded in closer to the centerline of the tank. 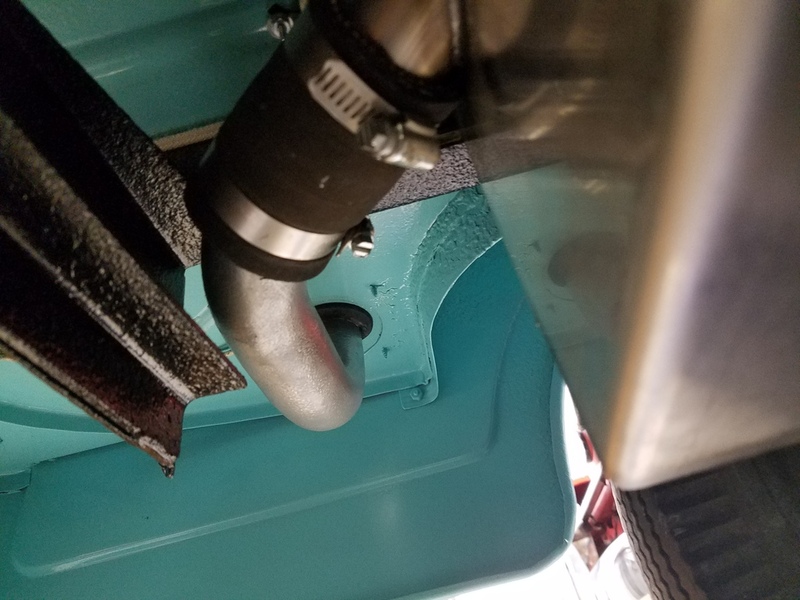 Positioning that filler neck through the big hole for it in the floorboard made the tank sit too far to the driver side, enough so that the passenger side strap was past the end of the new tank. Another thing to note is that the fuel pickup line comes out on the front side of the tank rather than the original position on the side of the tank. That fuel pickup line on the new tanks is a 3/8” outside diameter tube rather than the original threaded hole. Thats OK but since we are joining it to 1/4” steel line why not make it the same size. I’m being critical but for such a good idea as a tank that will never rust why not follow the original style more closely so we don’t have to improvise installing them. Dale was gracious about letting me return it and I also sent back a carefully cut piece of plywood showing the exact bolt location as well as the filler neck hole on my floorboard. I don’t think there is anything unusual about my 47 and hopefully he can use that pattern to straighten out his welding shop. In the end I was lucky to find a shop in Queens that could still boil out and seal my old tank. Be aware that early CC gas tanks are not the same as CD gas tanks. Yes , Steve is correct.I bought one from Dave Edwards 3 years ago for the Guppy. The Guppy is built on a CC chassis and the old tank was a CC tank. The new one bolted right in. Easy Peasy.